Being home for Christmas reminded me what it was like growing up in the Finger Lakes. The beautiful snow, the waterfalls… I was privileged and never realized it. People come from all over to see a waterfall that I grew up down the road from. It’s amazing what we overlook as we grow up. I remember going on hikes during the summer when the waterfall was at it’s peak and seeing it during the winter when the gorge was full of ice. It didn’t occur to me then how much I’d miss it when I left for college. I wish I had treasured it more. 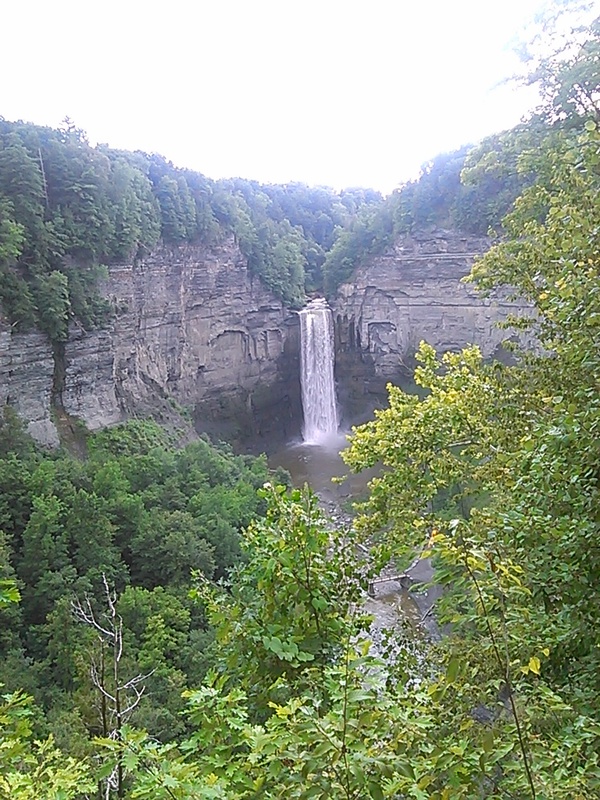 Taughannock Falls is one of the most beautiful places I’d known as a kid. The Finger Lakes region, in general, is a gorges (gorgeous) place. There are waterfalls scattered between the lakes of all different shapes and sizes, each one accompanied with it’s own hiking trail. I can’t imagine what it would have been like if I hadn’t grown up where I did. The winters in the Finger Lakes were almost as precious as the waterfalls themselves, if not more. The summers? The summers led to swimming in lakes and wading through gorges. Sure, having a pool is nice, but nothing beats the beauty of natural water. No other childhood could compare with the one I had here.